Hi everyone! 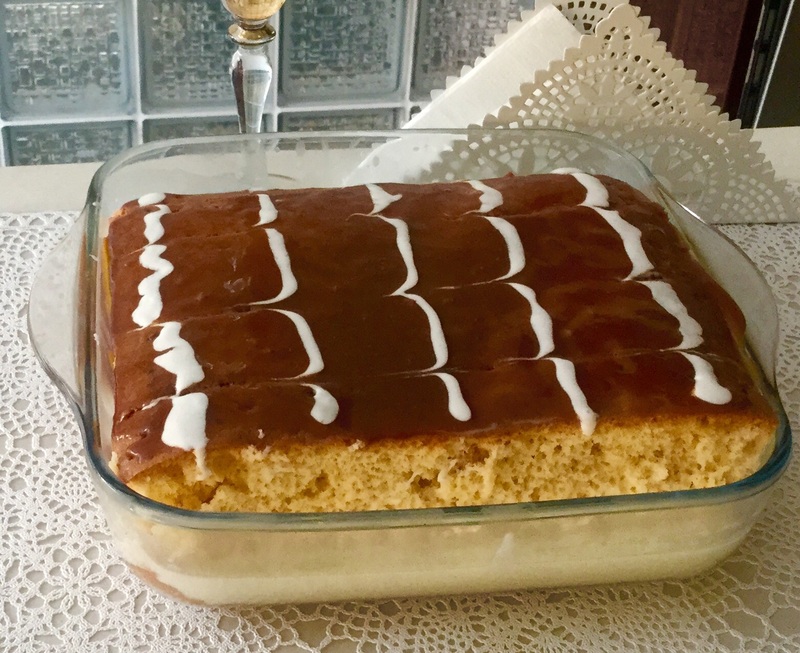 Today I want to share Trilece ( Three Milks Cake) recipe with you. From the outside this cake looks just like an ordinary cake but it is so different and unique! My dearest nextdoor neighbour Gulsen Gemici baked this delicious Trilece and was kind to give me a tray. I can honestly say that she is an incredibly talented lady that makes delicious desserts! After tasting it I was in love and had to get the recipe from her. Thanks so much my dearest neighbour for the Trilece and its recipe! I finally had the opportunity to try the recipe for myself and it turned out absolutely delicious! This is a perfect dessert for summary days as it is quite light. Trilece ( Three Milk Cakes) has recently become popular in my Country and also this dessert is currently popular in southern Eaurope. 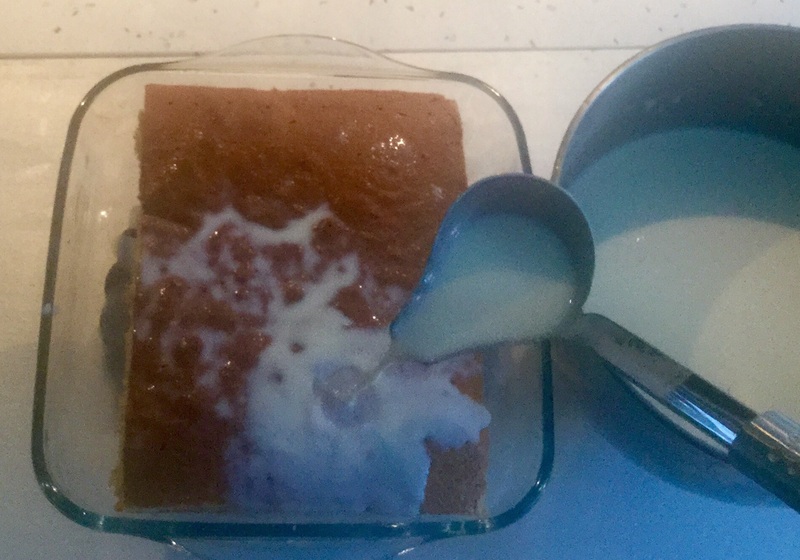 The Turkish-Albanian versiyon is made with three milks( Goats milk, Cow’s milk and Buffalo but more commonly a mixture of cow’s milk and cream is used). I came upon a variety of information about the origin of the Trilece. Origin of this cake from Albania( Balkan). This is a very different and interesting recipe and I hope you will enjoy it as much as I do! You will need 38×38 cm.baking tray,bases lined with baking parchment. 150ml heavy cream or 1/2 cup hot water. Place the sugar in a pan, cook until melted the sugar and add the heavy cream then immediately beat them until solve the sugar, cook it a little thicken, remove it from the heat and add the butter,beat them together until well corporate. Let it warm. Be careful working with hot sugar. Heat oven to 170C/ 175C. 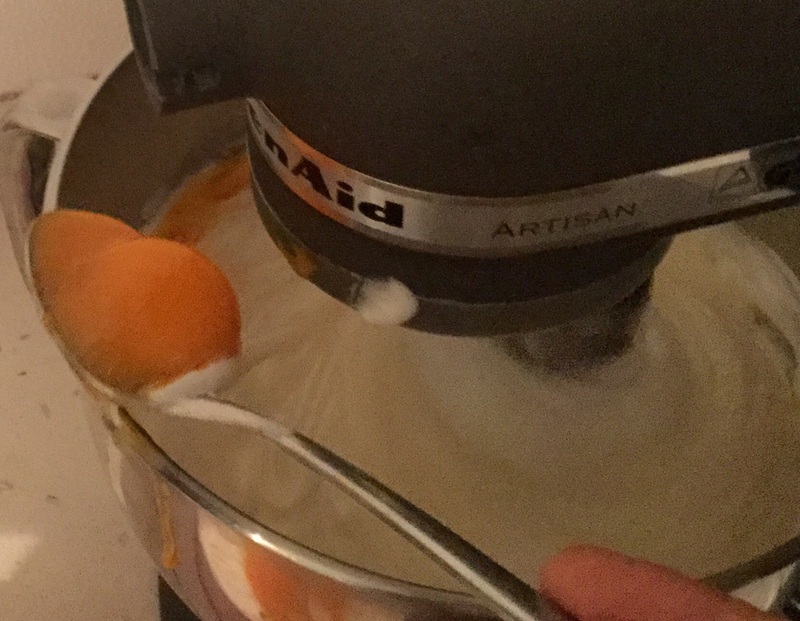 1- Divide the yolks from the egg whites and place the egg whites, the sugar in a big bowl, whisk the whites with a hand mixer until stiff peaks. Add the egg yolks one at time, beating well and then the addition of each. 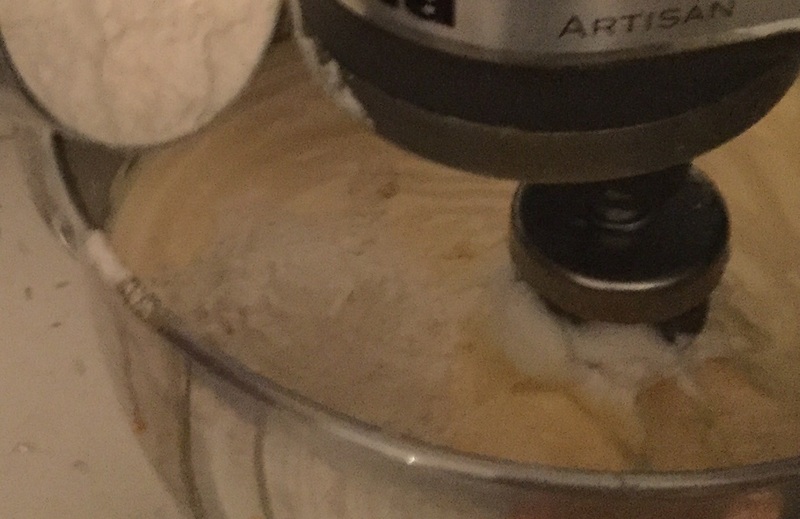 2- Sift together the flour and baking powder and add to the egg mixture, add the vanilla extract in the mixture. Beat them about 1 minute. 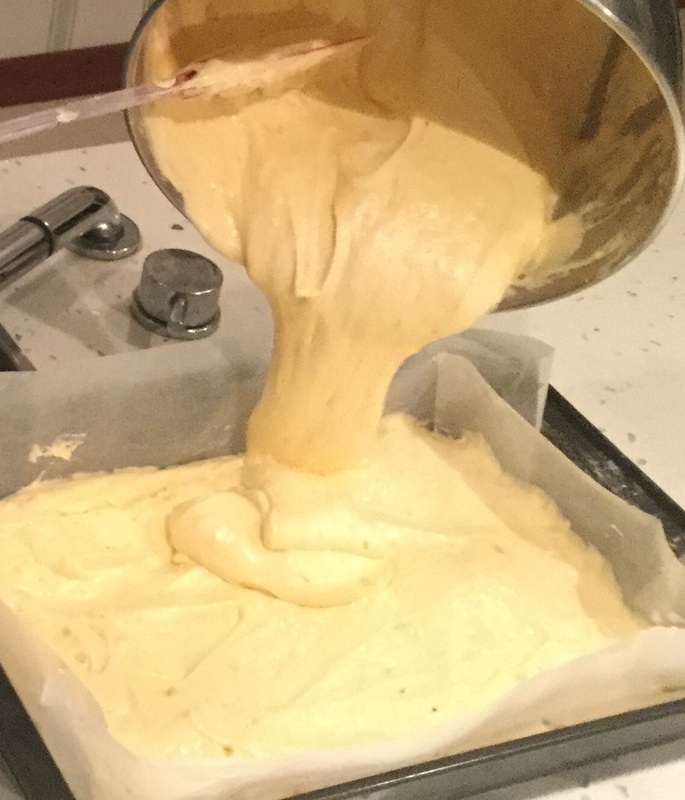 Pour the mixture in a greased and floured cake pan. Bake until golden about 25-30 minutes. Checking it with a toothpick and remove the cake from the oven and let it cool. 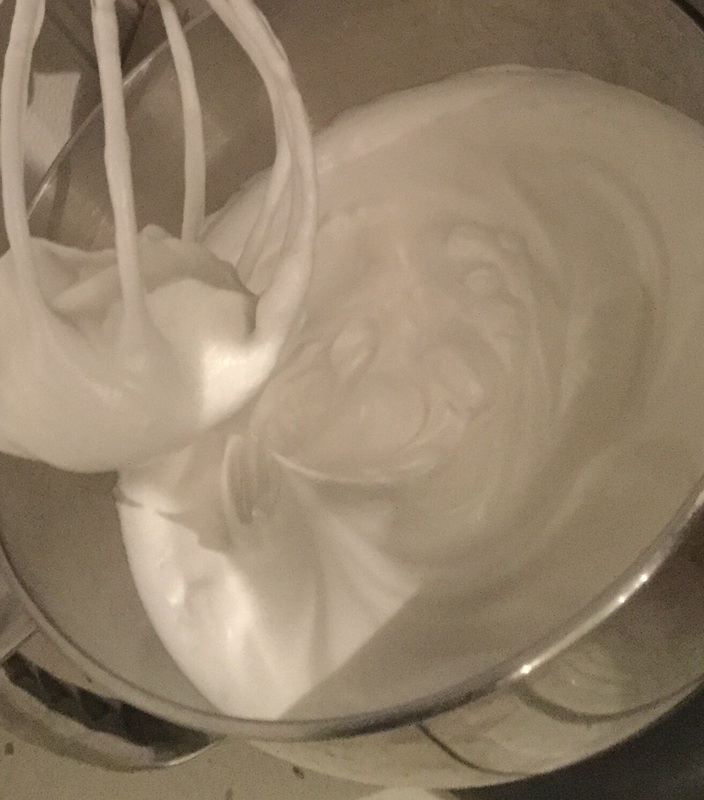 Combine the cold milk and milk powder in a bowl and mix them and add the warm milk, beat until fluffy, add the sugar,beat them again, beating well after add the heavy cream then mix together them and set aside. 3- Pierce the cooled cake with a fork or with a toothpick completely. Drizzle the milk sauce or pour slowly over surface cake. Place the cake in the refrigerate and let it stay 6 hours for soaked well. 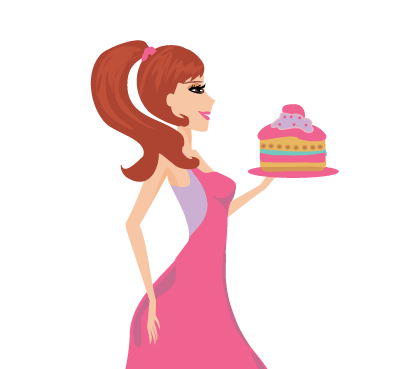 For serving: Remove cake from the refrigerate and spread a thin layer of caramel sauce with a spatula. If you deserve decorate it with a little cream. Cut cake in a small squares and serve it. 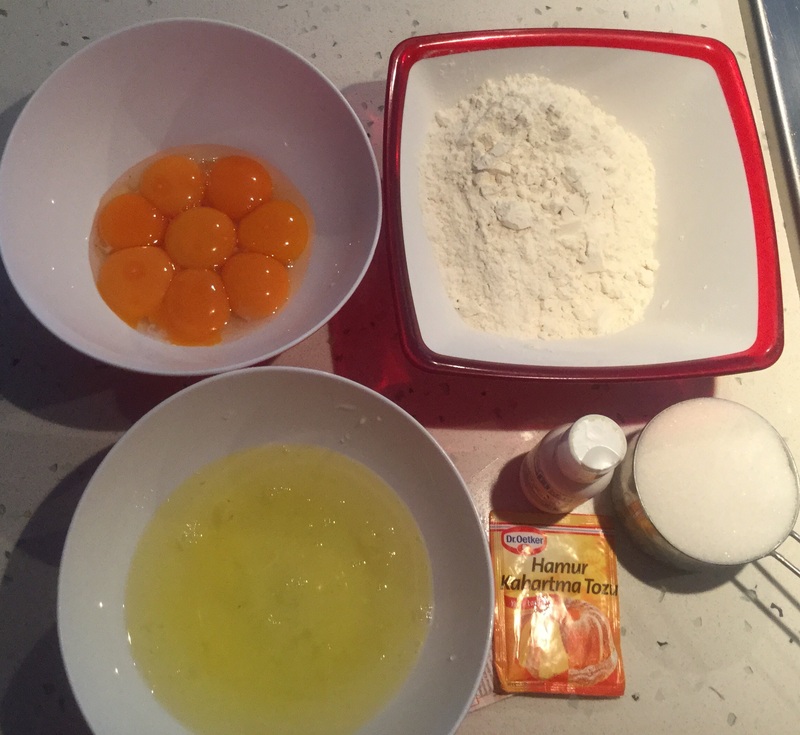 Before Assemble the batter ingredients; 2 cup flour, 8 eggs white,8 eggs yolk,2tsp baking powder, 1 cup sugar, vanillin. Beat the eggs white with the sugar until foam, at high-speed. Add the flour,baking powder, combine them, beat about 1 minute, at the low-speed. Spoon the mixed sauce over the cooled cake. Place the warm caramel over the soaked cake. Never baked this one. Looks delicious. Lovely! But not sure its Albanian.. The Latin Caribbean and South America, have a very similar cake.. Its baked at Christmas usually..
1. That’s a fresh cake (or was back in July), and you always have fresh ideas. 2. Making a good dessert is challenging, and you are always ready to accept a challenge. 3. Food is for sharing, and you freely share your work and ideas. 4. Your results are inspiring, which means you inspire others. 5. You create works of art, and by so doing create your own narrative, which makes you an in-progress work of art. Hi, You can keep the cake in the refrigerator for 2-3 days, but it’s even important to wrap the cake in this case so the cake doesn’t absorb the doors of other items in the refrigerator. 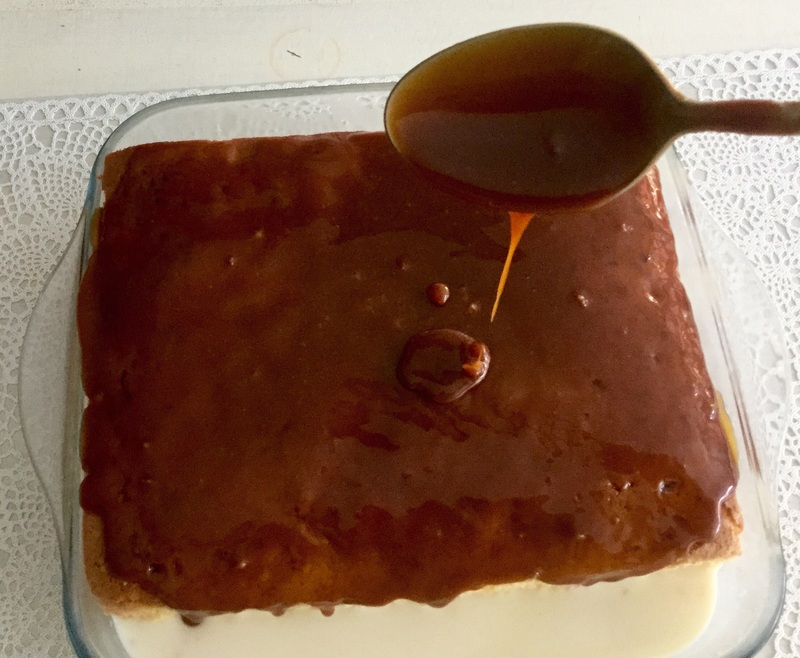 You can froze the cake sponge without soaked in the milk mixture, but The cake should not be frozen after the soaked and poured caramel on top of the cake.